Over the past six years we have been asked on a weekly occurrence "Where can we take this.......?" We have had the opportunity to support numerous charities and here is a selection of a few that would really benefit from your donations. Your local Oxfam shop would love the clothes that don't fit, the teapot too many, the stacks of DVDs - all the stuff at home can get on top of you. But you don't have to live with it. Take it to your local Oxfam shop - and fight poverty while you're at it. 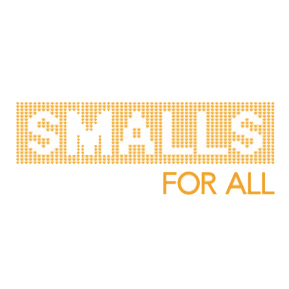 Smalls for All is a Scottish Charity which collects and distributes underwear to help women and children in Africa. We help those living in orphanages, slums, IDP camps and schools, as well as providing underwear to hospitals. Donate unwanted clothes, books, furniture and more to British Heart Foundation charity shops. Either drop your donation off at a local shop or donation bank, or arrange a free furniture collection. Donate your pre-loved furniture to the Emmaus community in Lambeth. By selling donated furniture and household items this company supports people who have experienced homelessness, re-building lives and teaching new work skills. Sistema England is a charity, founded by Julian Lloyd Webber, that seeks to transform the lives of children, young people and their communities through the power of music making, as part of the international El Sistema movement.